With an “after-hours club meets underground gallery” vibe , Adidas x Concepts blends the corporate dollars and know-how of a global brand with the street cred of homegrown sneaker boutique Concepts. 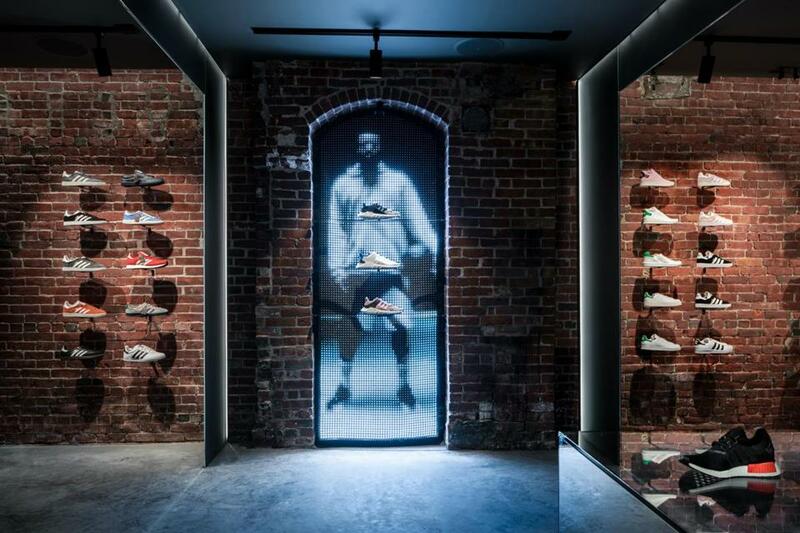 The two companies have teamed up to offer footwear from multiple categories, including Adidas’s collaborative designer collections and iconic Originals line, displayed on minimalist metal perches against walls of bricks and cinder blocks and atop smoky mirrored podiums. Men’s and women’s active wear is also for sale, and a back room hosts DJs and installations geared toward the most serious sneakerheads. David Guerra, founder and director of AREA, gives local collectors a window on Cuba’s thriving art scene with a pair of galleries established after he tested the concept with private exhibitions mounted in his home. Both locations showcase edgy contemporary pieces, from mixed-media abstracts to video installations, by Cuban-born and -trained artists. Guerra also offers works by local artists and a fun collection of limited-edition Cuban posters, hosts dinners and cultural events, and last month organized trips to Havana and Art Basel Miami Beach. A pair of stylish Princeton finance grads who didn’t want to overpay for quality jewelry established AUrate to fill a market niche. Originally a direct-to-consumer online business, AUrate offers gold jewelry in simple silhouettes at no-middleman prices. Staple pieces — including architecture-inspired bars, half-moons, and disks, along with a few statement designs, some set with ethically sourced diamonds — are available in vermeil, 14-karat, and 18-karat yellow, rose, and white gold. Fans of home furnishings chain Ballard Designs’ traditional style with on-trend twists can now browse the company’s customizable, budget-friendly pieces at the mall. 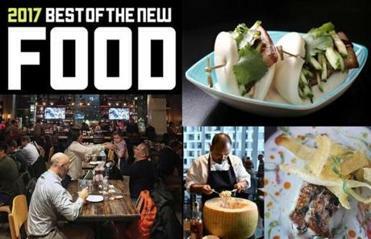 The catalog’s pages come to life in the new 12,400-square-foot store with a design studio at its core, where customers can settle in to put together their decor. Easily accessible sample drawers and a wall of oversize fabric swatches make the creative process a pleasure, but if you’re stuck, expert advice is readily available — and free. Behind the green-and-teal storefront of SoWa’s Beacon Gallery, owner Christine O’Donnell shows the work of half a dozen artists who take particular joy in their craft. Highlights include Myra Abelson’s nuanced still lifes, Adrienne Shishko’s crisp pen-and-ink pieces, and Aja Johnson’s exuberant abstracts. O’Donnell, recently back from living abroad for over a decade, will be collaborating with nonprofits on fund-raisers, starting with a show highlighting the Syrian refugee crisis. After seven years without a bookstore in their town, Chris Abouzeid and Kathleen Crowley (a local physician) opened Belmont Books in June, with friends from Porter Square Books pitching in to help them stock the shelves. The husband and wife (both also published authors) have filled the 5,000-square-foot two-story space with books, a cafe, paper goods, puzzles, story times, and signings — and created something Amazon can’t deliver: a much-needed community gathering space. 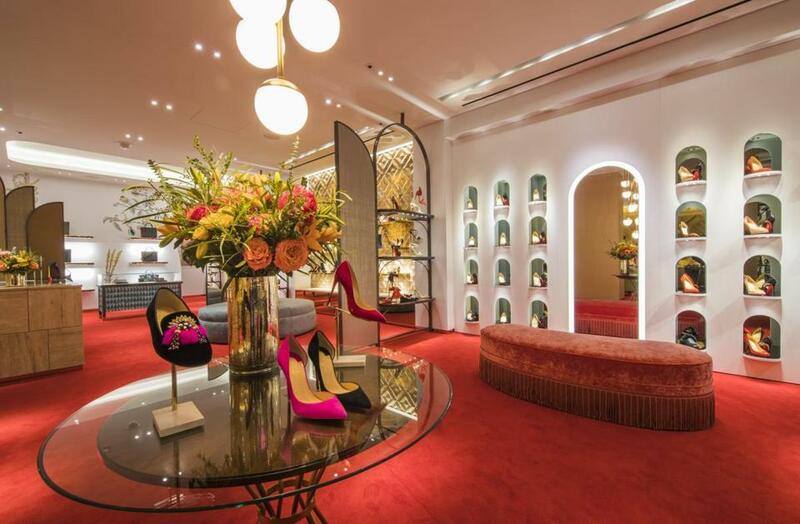 Famous for sky-high stilettos with lipstick-red soles, this coveted brand can be more down-to-earth than you might think — literally. Joining those to-die-for heels are women’s flats, kitten heels, decorative sneakers, and outdoorsy boots, while the men’s selection ranges from classically sophisticated to imaginatively embellished. The statement-making bags are witty and wonderful, as is the cheerful luxe decor. Striving to build “the finest purveyor of gentlemen’s essentials,” Bostonian Anthony Caro started small with a carefully curated Web-only collection of functional, beautifully made work, travel, and home accessories as well as high-quality grooming and personal-care products. In his new 1,660-square-foot store in the Innovation and Design Building, Caro expands his wares to include high-end and hard-to-find men’s and women’s fashions and a mini-gallery showcasing local artists. Great for gift shopping. Eco-friendly, natural, cruelty free, and effective — those are top concerns for many women when choosing cosmetics and skin-care products. Like the Sephora of clean beauty, San Francisco-based Credo (Latin for “I believe”), makes those qualities accessible. The company offers over 100 global brands, all guaranteed safe, sustainable, and ethically sourced. Seek guidance from the knowledgeable staff or book an appointment for a makeup lesson, private event, or complimentary mini-facial. Wanderer and storyteller Kay Gowan explores faraway places, returning with artisanal home and fashion treasures. Having trained her eye working with Boston importer Kevin McPherson (of now-shuttered Mohr & McPherson), McGowan showcases her finds at her Somerville shop, A Curated World. Treasures include Guatemalan textiles and pottery; small Turkish, Persian, and Moroccan rugs; vintage barware; and jewelry and accessories from local makers — all items you don’t see every day. Leathersmith Gina deWolfe hand-makes every piece in her hybrid workshop-boutique, deWolfe Leather Goods, right in the middle of the space. Her minimalist designs, all fashioned from ethically sourced local leather, include signature backpacks and envelope clutches, mini-wallets, and wrap bracelets, along with an experimental design or two. The boutique also showcases hammered sterling silver jewelry by Julie Darnell, vintage Levi’s from Baby Cila Denim, and a rotating collection of curated artwork, and hosts trunk shows by other female-operated local brands. The new sibling of the diminutive magpie-magnet shop December Thieves, a block away, Heist lets owner Lana Barakat show off even more of her irresistible wares. The spacious, fantastically decorated — moss wall garden with giant ceramic bugs and abstract nature murals — boutique is chockablock with unique home decor items, mystical ceramics, oh-so-tempting jewelry, and edgy minimalist apparel, shoes, and bags from many new-to-Boston contemporary Japanese, European, and Canadian designers. 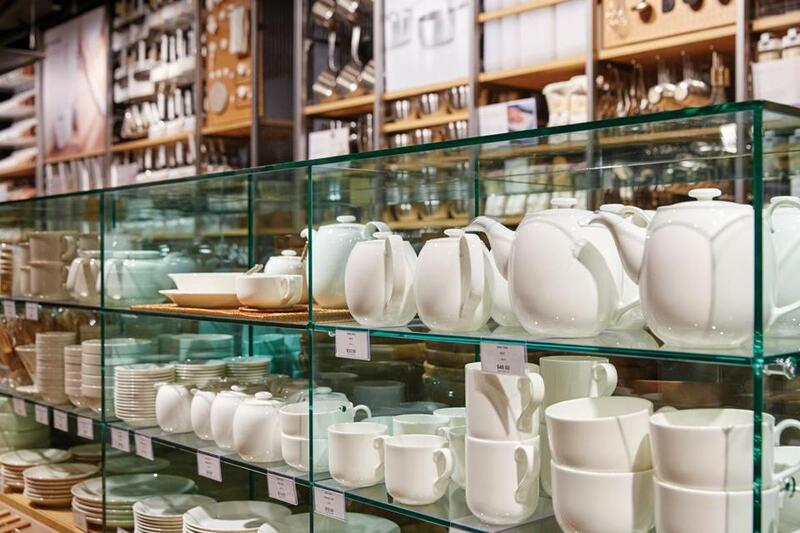 As a complement to its successful HomeGoods stores, TJX’s latest off-price concept chain, Homesense, stocks vastly expanded offerings in a spacious, easy-to-shop setting. It has larger-scale furniture (couches, club chairs, dining tables, beds), boatloads of lighting options (chandeliers, floor lamps, sconces), a “rug emporium,” and even a practical “general store” for all things home improvement (hardware, organizers, DIY products). 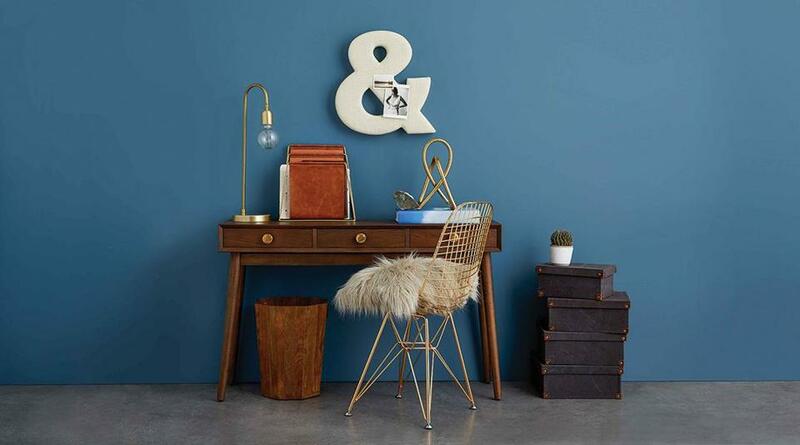 At-home entertaining is also a focus, with mini on-trend vignettes to provide inspiration. Named for a Bob Marley tune, the Los Angeles-based chain Johnny Was shares the singer’s laid-back charm and charisma while elevating boho fashion to an art form. You’ll find not tie-dyed wear but rather vintage and modern silhouettes in fine fabrics, stunning floral prints, and luxe detailing like lace and intricate embroidery. The style is effortless yet polished, with a range of heavenly day-to-evening clothes (and accessories) in sizes from extra-small to extra-large. Get yourself a glow, minus that nasty chemical smell, at Kissed, an organic airbrush tanning salon in West Roxbury. Following a consultation, esthetician and former sun worshiper MaryKate McInerney custom mixes every batch of tanner for the perfect shade — even redheads have been rejoicing. McInerney’s approachable manner makes the whole experience, from the pre-tan pH-balancing spray to the actual airbrushing, easy. After more than 10 years at a well-known local salon, colorist Patty Martin Scheidel opened Love and Mercy Salon, in the new Aloft hotel near the convention center, with her husband, Josh Scheidel. The thoroughly contemporary studio is simultaneously vibrant and serene, offering visionary expertise along with a healthy dose of escapism. In addition to stylists and colorists, the team includes a master barber for haircuts and luxury shaves. Aiming to cater to the offbeat bride along with walk-in clients looking for simple flowers with a foraged twist, Jennifer Allen-Coughlan of Market Floral Studio creates feminine, unfussy, always interesting arrangements. The shop also offers an array of gifts created by local female makers, from candles and bath salts to artwork and pottery. Workshops for kids and grown-ups offer customers the chance to try planting and creating centerpieces, too. Hey, Cinderellas (and Prince Charmings), the handcrafted Italian footwear brand M.Gemi is the latest in the craze for “fit shops” (think Bonobos) that let you try before you buy online. The brainchild of Boston University grad Ben Fischman, cofounder of LIDS and Rue La La, the concept capitalizes on a small retail footprint — just samples of the cosmopolitan work-to-weekend styles, no inventory — to let customers see, feel, and try on the merchandise before ordering. Design enthusiasts looking for authentic modern and postmodern furnishings will revel in the collections at Mod20, in downtown Belmont with a huge warehouse nearby. Recent offerings include a pair of funky early-’70s red quilted easy chairs designed by Verner Panton; a flame birch extension dining table with sharp lines designed by Bruno Mathsson in 1936; a travertine-topped walnut cocktail table by Paul McCobb; and an assortment of Danish dining chairs, sideboards, and desks. Live for logos? Stop reading now. With a name that translates as “no brand, quality goods,” the Japanese company MUJI is a global retail success story featuring “thoughtfully designed, highly functional” products — from classic, soft-to-the-touch clothing to minimalist yet inviting home accessories and furniture, all practical and reasonably priced. The diverse stock includes small electronics, bath and kitchen wares, cozy slippers and PJs, storage boxes, stationery, and natural skin care; there’s even an Aroma Bar for customized fragrances. 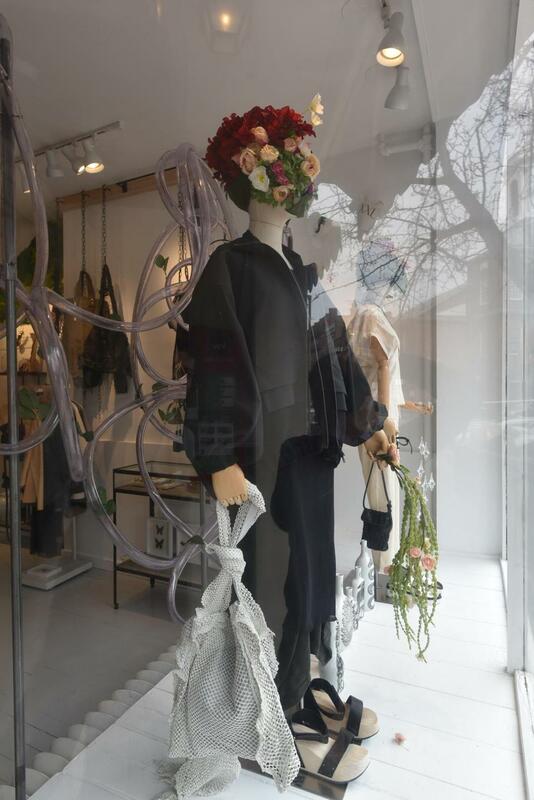 Known for their gloriously imaginative floral- and event-styling company, Foret Design Studio, locals Erin Heath and Rose Mattos (both former visual display artists at Anthropologie) now have an equally irresistible Somerville shop with a naturalistic California-meets-New England aesthetic. 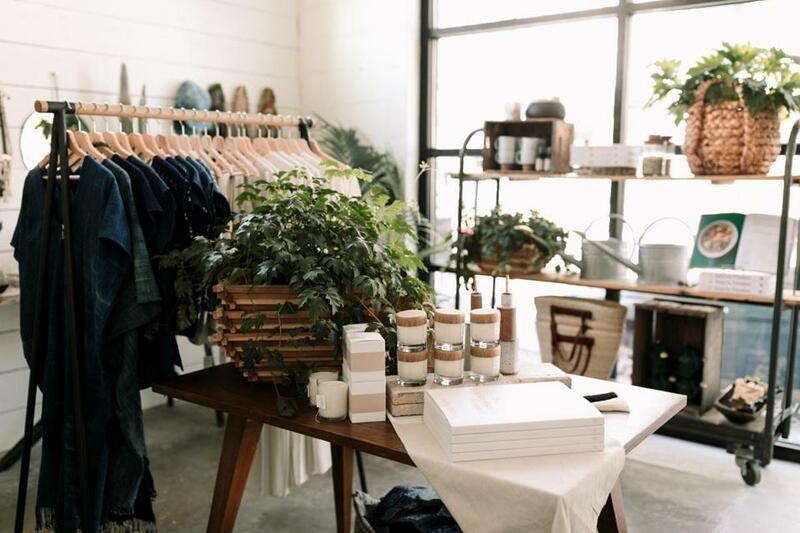 The light and airy space is filled with unusual home, garden, and fragrance products, unpretentious bags and print scarves, contemporary jewelry, and laid-back minimalist apparel. Local, West Coast, and women-owned companies are well represented. Henry + Mac photo co. Athletic behemoth Reebok relocated its headquarters from Canton to the Innovation and Design Building in September with a big bonus for locals: the largest of the brand’s retail stores, and the only one with a YourReebok Customization Shop. Design personalized graphic apparel and accessories that are ready in minutes, or customize a Classic Leather sneaker handmade by the in-house cobbler as you watch. Also get first dibs on the latest styles being test marketed and numerous flagship exclusives. Frustrated by Boston’s lack of reasonably priced eyelash extensions, Seattle transplant Mia Kizaki planted a flag on Newbury Street in September. With her Toronto-based co-owner/sister, Amy Kaye, Kizaki offers tiered pricing based on appointment duration and the stylist’s level of training. Junior stylists get hands-on experience and clients get a 90-minute, natural-looking “quickie” lash application for $50, while the 45-minute version with a master stylist is $90. Perm-like “lash lifts,” waxing, and microblading (semipermanent tattooing that fills in sparse brows) are also on the menu. From the couture designer who invented the concept of luxury pret-a-porter, Saint Laurent has become the sine qua non of nonchalant jet-set chic. While wildly coveted “it” items often break the bank — thigh-high crystal-encrusted boots, $10,000! — even the less well-heeled eagerly shop for branded statement pieces in the jewelry, sunglass, and leather goods collections. Of course the drool-worthy men’s and women’s clothing and footwear are the stars of the richly appointed boutique. Meet the Megaformer, a sort of souped-up Pilates device sporting all sorts of moving parts. You’ll find a dozen of them in the airy third-floor exercise studio SLT (Strengthen Lengthen Tone). Founded by Amanda Freeman, a Boston-born Harvard Business School grad who discovered the contraption during a business trip to the West Coast, the studio offers classes that blend core strengthening and cardio training. Devotees swear by SLT as much for the muscle-quivering process as for the long, lean results. With a fresh take on a traditional craft, Third Piece founder Kristen Lambert comes at knitting from multiple angles, all of which converge in her new South End shop. The thoroughly modern space boasts a yarn wall as well as a sleek knit bar where knitters can get hands-on support and participate in workshops. The pieces up front, all hand-knit in New England, are for sale — Gisele Bundchen was spotted in the Newbury hooded cowl scarf last winter. The iconic colorful suede driving shoes (worn without socks, of course) are only one example of the understated modern cool of Tod’s. Synonymous with beautiful Italian leather and quality craftsmanship, the 40-year-old company also understands comfort, even in extremely high-heeled rubber-soled hiking boots. Perfect for Boston — Italy has cobblestones, too — the cosmopolitan men’s and women’s footwear is made for walking, with plentiful styles of chichi bags, wallets, and belts; movie-star sunglasses; and urban chic sportswear for both sexes. Wealthy shoppers of days gone by sipped tea on plush couches perusing preselected fashions on models. Minus the models, Nordstrom’s Trunk Club brings that pampering back — men included! 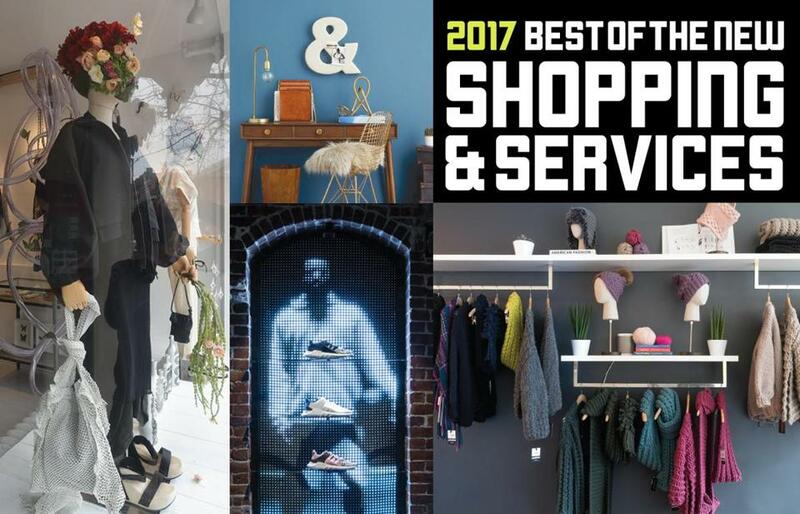 Just make an online appointment with a stylist (it’s free), explain your fit, style, and budget, then sit and sip in the airy, loftlike space while viewing handpicked items from well-known designer brands. For a $25 fee credited toward any purchase, a wardrobe trunk can be sent to your home. Now that millennials and Generation Z think they’re hip, 45- and 331/3-rpm records aren’t just baby boomer keepsakes. Newbie aficionados (and oldsters), Jonathan Sandler’s shop is playing your song. 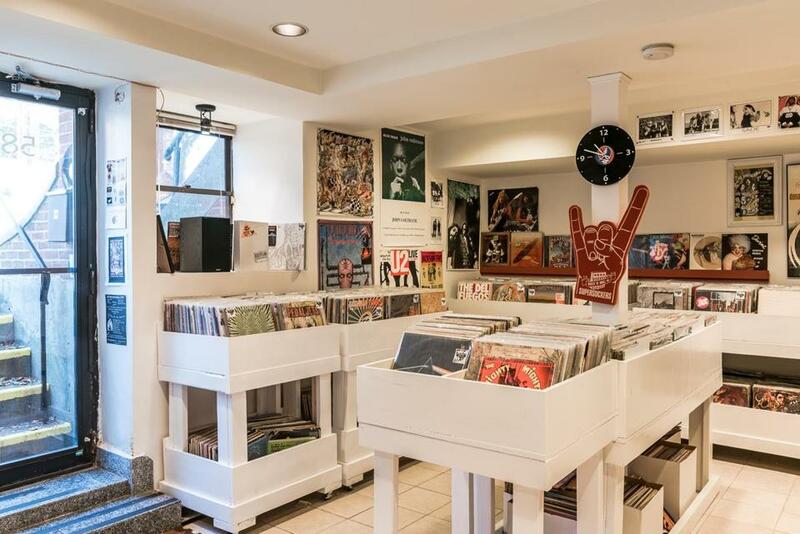 Located in his hometown of Brookline — appropriately, in an underground space sporting too-cool-for-school band posters — the store not only stocks a wide range of vinyl albums, but also sells and repairs turntables and stereo equipment (new and vintage).